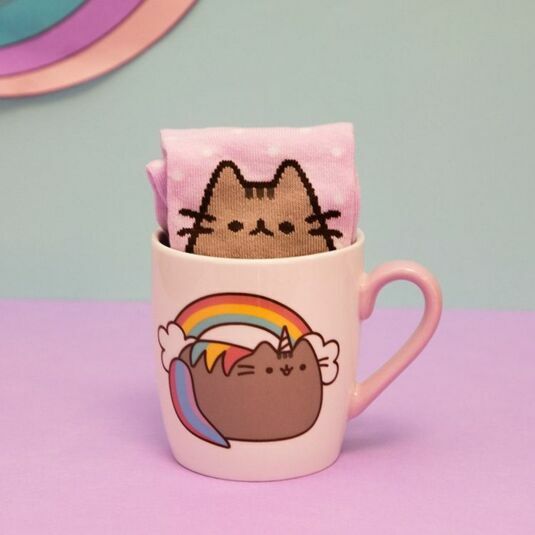 Give the beautiful gift of a Pusheen with this wonderful sock in a mug, a fresh offering from the adorable and irresistibly charming Pusheen! It makes a brilliant gift for Christmas, birthdays, or any other time that you want to show that special someone how much you care. That could be friends, family, or even yourself! 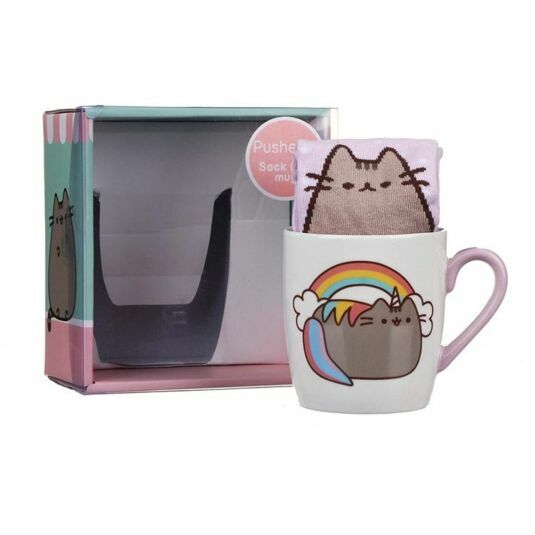 The mug is decorated with an adorable graphic of Pusheen in-front of a rainbow, complete with a wide grin and a colourful back and tail. The mug holds 300 ml of water and is coloured cream with a pink handle. The sock is equally adorable. It is pink coloured with small white polka dots and an image of Pusheen striking an adorable little pose at the bottom. On the back of the socks is a little pawprint for wherever your feet lands, letting you know that Pusheen is walking with you every single step of the way!